Last month I mentioned to you guys that Just Us Girls was selected to be a Kandoo Ambassador. I'm really excited about it because not only have I've been using their products since my almost nine year old started potty training, but now I get to share with you all my experience and stories when using Kandoo. 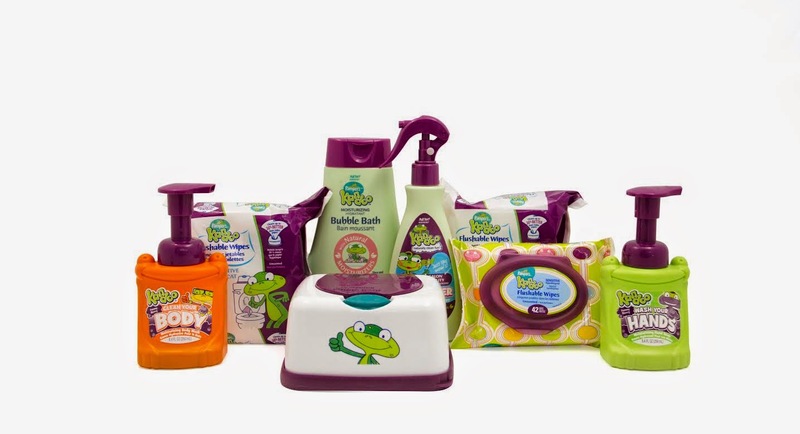 Not only do I love Kandoo because they made my life as a first time mom potty training easier, but I also love that all of their wipes are both flushable and biodegradable and that all of their bath products are tear free! This definitely makes it easier when my little ones are in the bath getting clean. I don't have to worry about them irritating their eye if they accidentally get any soap in them. So I'm excited to announce that today we will be hosting a giveaway of the entire line of Kandoo personal care and wipes for one lucky Canadian Just Us Girls reader! So which of the Kandoo products is your favorite? If you've never tried them, which one are you excited to try?